Islam A to Z by James White | Is the Quran the Word of God? Below are two lectures James White gave at the Lakeview Christian Center. Dr. White is the director of Alpha and Omega Ministries, a Christian apologetics organization. The first lecture, What Islam is and What Islam Isn’t, covers and historical background on Islam addressing common myths and misunderstandings. White points out that the Jesus of the Quran is an argument and not a person; whereas, the Jesus of the Gospels is a living and powerful person. White discusses Muhammad’s marriage to Zaynab bint Jahsh, which based on Jesus’ teaching was adulterous. Dr. White talks about the implications of this marriage for adoption in the Muslim world. Dr. White discusses the importance of Arabic to Islam. He shows several videos to his audience which, regrettably, are not shown in this video. Dr. White discusses monotheism, shirk, and the Trinity. 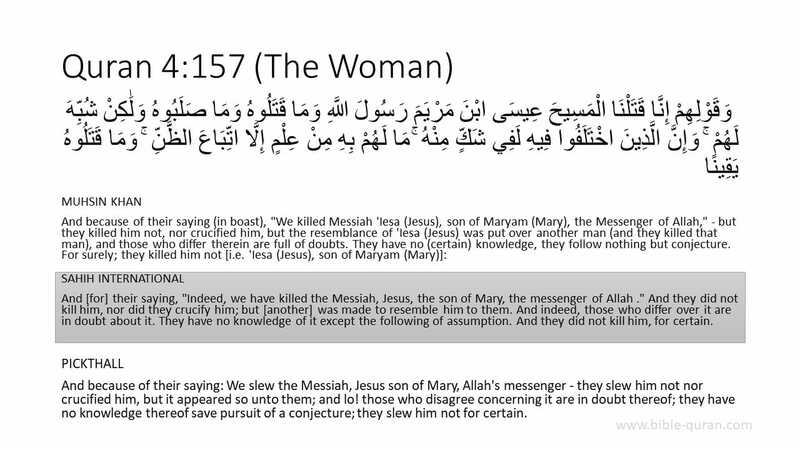 Dr. White discusses the Quran’s denial of the crucifixion (Quran 4:157). This is an excellent resource! I wish I could purchase this on DVD. I plan to watch it several times because of Dr. White’s ability to be clear and pithy about the Islamic faith. I love how he encourages Christians to witness to them and reach out to them instead of hide and fear them. I would recommend this as a source of extreme importance. Need the DVD! Agreed! You can find more resources from Dr. White here: Alpha & Omega, but I don’t think “Islam A to Z” is available on DVD.